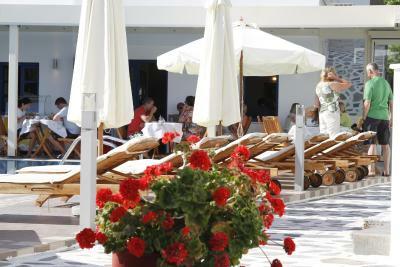 Lock in a great price for Katerina Hotel – rated 9.4 by recent guests! 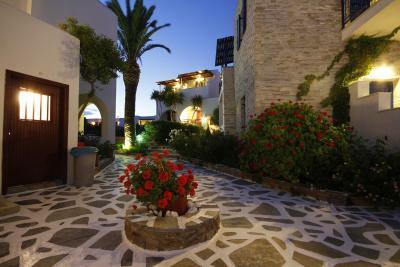 This is a lovely property, very well situated in Ag.Prokopios just a minute walk from the beach and restaurants. The property itself is very well maintained, managed, clean, quiet, family friendly. 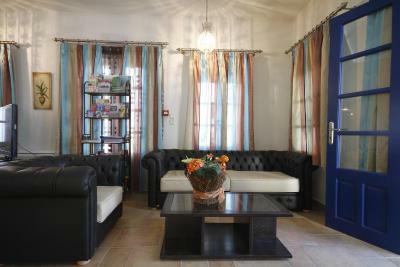 The hotel staff and owners are very friendly, professional and always there with a smile to assist and better your experience. We were sad to leave and had an amazing stay at Hotel Katerina! Wonderful location just two minutes from the beach. Great location . 3- 4 minutes walk to a beautiful , clean, wide , long sandy beach with clear blue water , excellent restaurants , mini market , bus stop , etc. The room was quiet, attractive , clean ,and comfortable. George , Maria , and staff are terrific , friendly , and very helpful. 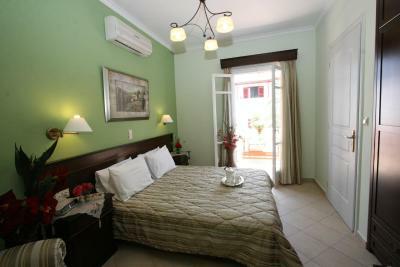 Very well maintained and comfortable hotel with a nice swimming pool . Breakfast is outstanding. I can’t say enough about how wonderful this little gem of a hotel is. From the moment we arrived we were made to feel like family. Everyone was so lovely and charming! The rooms were perfect for our needs, the pool was lovely and the morning breakfasts were fantastic. 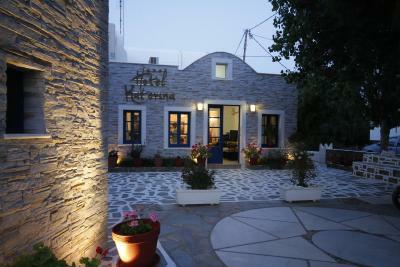 If you’re ever in Naxos don’t hesitate to book here! Thank you so much for everything, I hope to return one day!!! Very friendly and accommodating staff who seemed happy to address any request at any time through the day. Nothing seemed too much of a problem. Obviously a family run business with a good reputation. Perfect location. Near to beach and restaurants. George and family treated us like friends not guests. Full information will provide you. Clean swimming pool. Excellent staff who were very helpful at all times. We loved this hotel and especially the hosts. They really could not have done more for us. Lovely rooms, Fantastic pool. Overall our stay was great . For the price you can't beat the location or cleanliness of the rooms compared to other hotels in the area. The hotel is family owned and ran. It is very well maintained. You can walk to the beach and many restaurants from the property. General: Nice and clean rooms with enough space. They clean your room every day (even when its already clean from the day before ;) ) The property is also really clean and there is enough to do (sauna, swimmingpool and gym). The staff is very helpfull and kind, they are willing to help you with every question you have. Facilities on the room; shower, toillet,(both great) fridge, balcony, hairdryer. Location: Great location near the beach. When going south you will run into plenty of places to eat and drink. 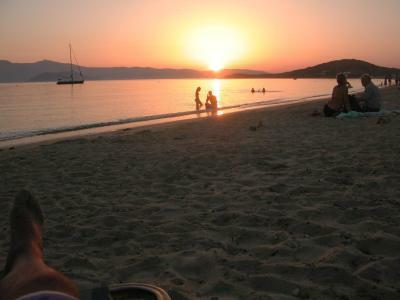 We once walked to Hora (main capital of Naxos) and it was an hour walk. So if you are planning to visit Hora a lot of times and if you are planning to see more of tbe island.. Rent a scooter, car or whatever you feel comfortable with. Overall: We had a perfect time staying here!! Couldn't have been better. Thank you Hotel Katarina for the wonderful time we had staying with you! Katerina Hotel This rating is a reflection of how the property compares to the industry standard when it comes to price, facilities and services available. It's based on a self-evaluation by the property. Use this rating to help choose your stay! 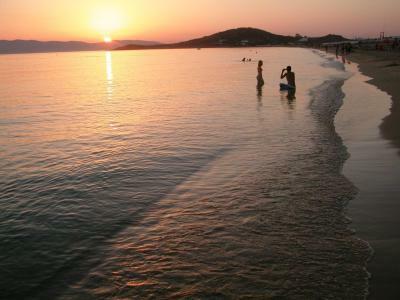 Hotel Katerina is just 500 feet from the sandy beach of Agios Prokopios. 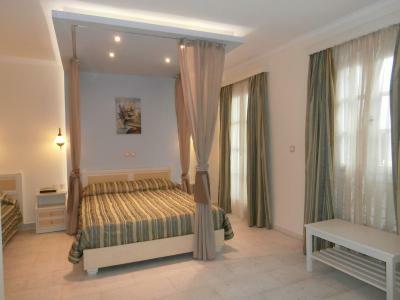 It offers a beautiful pool area with sun loungers and air-conditioned rooms with private balcony. 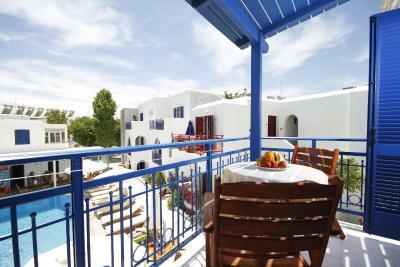 The Cycladic-style Hotel Katerina features bright and airy rooms and studios with views over the garden or the pool. Each has TV, in-room safe and fridge. Free Wi-Fi is available throughout the hotel. Guests can relax by the pool and enjoy breakfast by the pool-side or order a refreshing drink from the bar. 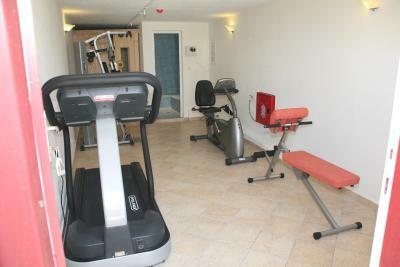 A gym, sauna, and a hot tub are available for guests to use. Katerina’s accommodating staff may arrange for car rental, excursions, as well as offer tips on sightseeing. 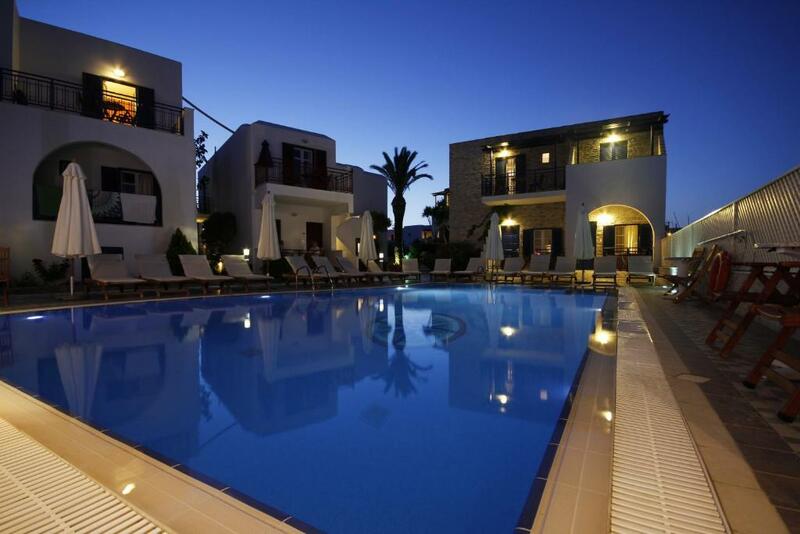 Hotel Katerina is 3.7 mi from Naxos’ main port and 2.5 mi from the airport. 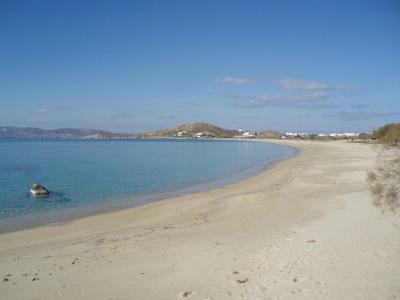 Naxos Town is 3.1 mi from the hotel. 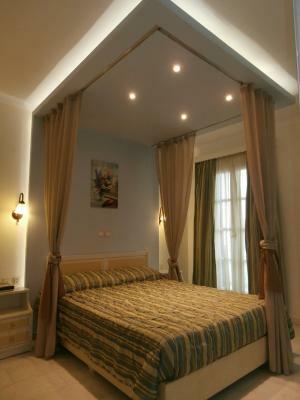 When would you like to stay at Katerina Hotel? 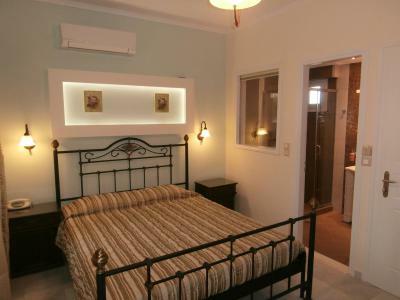 This twin/double room has a balcony, hot tub and air conditioning. 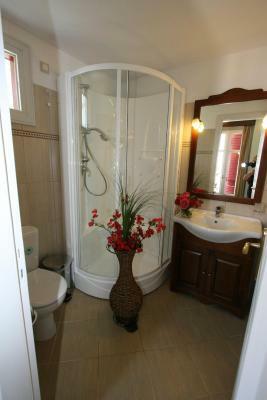 -a bathroom with a shower, hairdryer and free toiletries. Please note that guests must go 4-5 steps down to access this room type. House Rules Katerina Hotel takes special requests – add in the next step! Katerina Hotel accepts these cards and reserves the right to temporarily hold an amount prior to arrival. The room was spacious and had a nice terrace over the pool. The breakfast was awesome with a lot of things to choose from. The staff was very nice and helpful. Everything was perfect! Nothing about the hotel but agio prokopios became very busy and too touristic for us. Beach packed with sun beds from beginning to end...too many bars& restaurants...package holidays. Lost it’s charm! 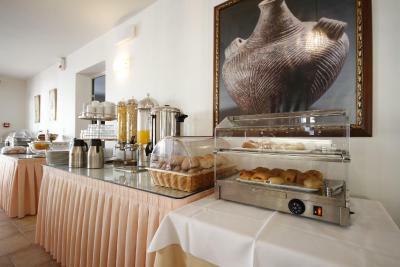 Very good mattrasses and pillows, very friendly owners, tasty breakfast and very well kept. Thank you! George and his family were very welcoming and when we arrived the room was going to be ready in about 20mins so they gave us drinks and cake while we waited. The staff there were very nice and helpful and gave us good advice about the island when we rented a car. The location is excellent also. Would def stay there again! Location very far from everything. The employees are all very pleasant and helpfull. Special thanks to " sugar"
Room was a little run down but I was offered a different one. Gym equipment not good but nicer to exercise outdoors anyway. Lots of families/children so wouldn't recommend if you need lots of quiet. Everything was perfect and the people there were always making sure we felt comfortable and had everything we need. We even got upgraded since there were still some empty rooms. staff were great help full, friendly, generous.